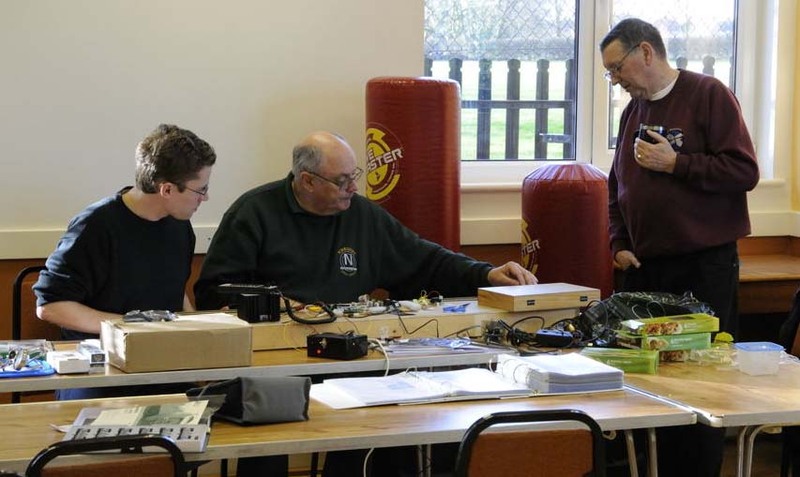 24 members attended the January group meeting. 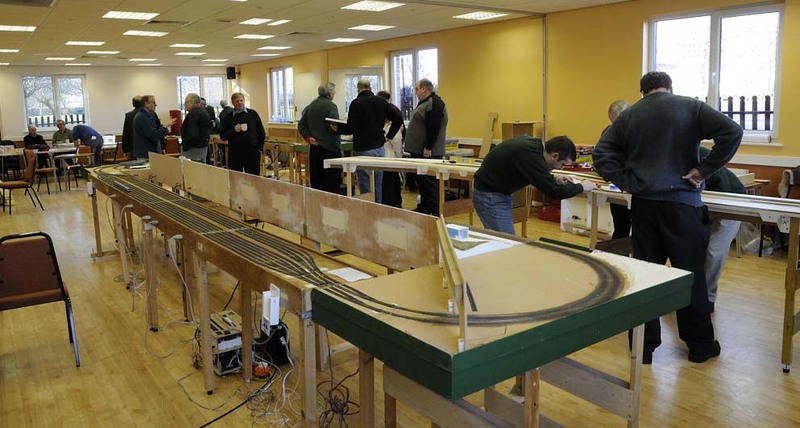 Two layouts were setup for running - the DC setup and the DCC layout with the 2 track endboards, plus Sandy's boards and the concrete module. This needed some work doing on it before trains could run, so some scenic work was done on one of the corners. The fiddle yard is really beginning to show its age and will need replacing very soon, and the Peco motors/accessory switches seem to be failing as well so any replacement will need to use Tortoise motors (or similar). 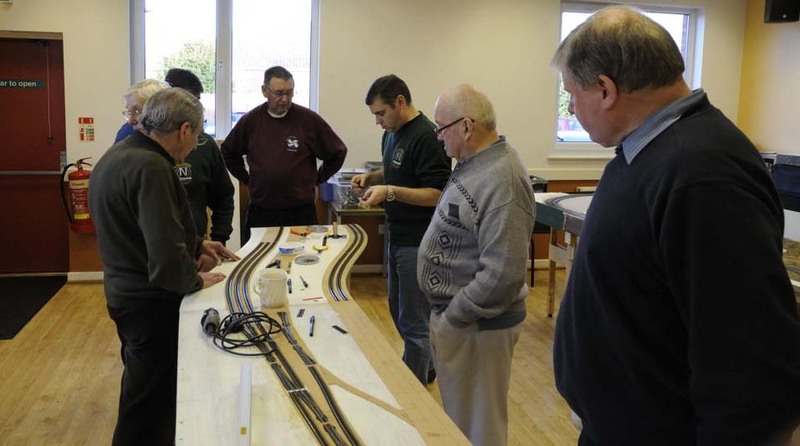 Work was progressing with track laying on Heworth Sidings, so hopefully it won't be long before we see some trains running, even if only end-to-end.What with that, models being painted, the signalling test board and various other activities it was a very busy day. It was good to see our 'life member' on a visit - I hope he was impressed with all the work being done!! Signalling problem solved - thanks Steven!